The Classics at Forbes Field was held on October 3, 2015 at Forbes Air Field in Topeka, Kansas. The car show was hosted by Rusty Metal Productions and the American Flight Museum. 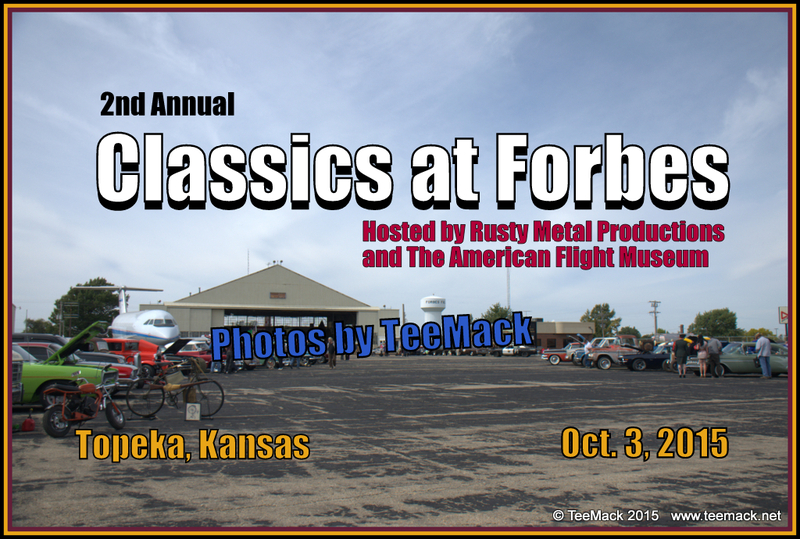 Part of the proceeds is going to help support the American Flight Museum in Topeka, Kansas. Vintage aircraft of the Museum were on display on the tarmac. The Snowman's Dream Semi Truck, the Bandit Trans Am, Bufford's Cop Car and "For One Night Only" were in attendance. It was a beautiful day for a car show with temperatures in the mid 60's. Click here to view photos of the Classic's at Forbes Car Show.